heodoros Angelides joined the firm in 2014 during the course of his apprenticeship. Since 2015 and after obtaining his license he has been practicing law in Nicosia, acting on behalf physical and legal entities, local and foreign, and consulting them in Intellectual Property, Competition, Corporate and Commercial matters. He is now the Head of the Intellectual Property Department and also serves under the Litigation Department. Theodoros Angelides regularly appears before courts of all instances in Cyprus in regards to various matters including those he specialises in as well as before the Cyprus Trademark and Patent Office for all relevant procedures before them. He also attends seminars in regards to Intellectual Property, Banking and Financial matters. He also takes part in Intellectual Property meetings such as INTA’s and ECTA’s Annual Meetings. 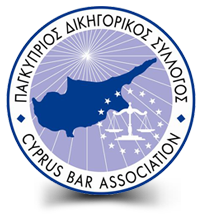 Member of the Kyrenia Bar Association since 2015. Member of INTA (International Trademark Association), MARQUES and ECTA (European Community Trademark Association).